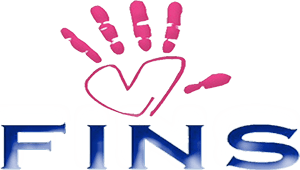 Join Team FINS | F.I.N.S. FINS will be scheduling varies fundraising events throughout the year to increase our donations. Our goal is to have a FINS organization across the country, in every major city possible, with the belief that a little bit from everyone can make a big difference to someone. The FINS organization was organized to be the place that people can come to when they need help. There are hundreds of people right here in our own back yard that need our support. Bill Alcock (Founder/President) goal is to develop team FINS, which will consist of volunteers willing to donate $25 per month, so that we have a base dollar amount to help who we can. The plan will include having 325 team FINS members within the first 3 years, which will give us a base of a little over $8k per month to help those in need. The cost to run the FINS organization is less than $250 per month for electric, internet, and phone and we are staffed by volunteers who dedicate their time for free to help others. To join team Fins, please click below to setup your $25 monthly volunteer donation.